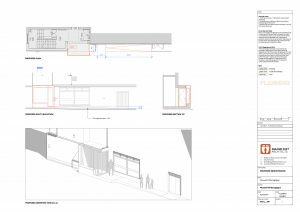 Most of the proposed building alterations are internal and so would not require planning permission. However, renovation of the side entrance does. Given the state of disrepair of the current side entrance it was identified as a priority for urgent maintenance some time ago and a preliminary planning application was lodged (here) simply in order to establish that, should we want to do some work on the side door, permission would be in place. However, irrespective of the planning application, full community consultation will go ahead as set out in our recent letter and work will not start until this community consultation is complete. We will be back in touch soon with a date for an open meeting for the community to come and share their ideas and thoughts for the building project team to listen to. There will then be a further meeting once there are firmer plans to share and present back to the community. or on the Google Groups forum (here). The new Board is very excited to be working on the MHS2020 project and armed with constructive community feedback looks forward to embarking on the next steps of the process.